The Vredestein Wintrac Pro answers the growing market demands in the 17-inch and ultra-high-performance segment. The new winter tyre makes no concessions in terms of performance, offering maximum grip while cornering, short stopping distances on wet roads and great handling, even at high speeds. The Wintrac Pro is available in speed rating Y, making it appropriate for use at speeds of up to 300 km/h (186mph) for a large number of sizes. The tyre merges an attractive design with advanced technology. Tyre review data from 6 tyre reviews averaging 94% over 17,700 miles driven. Positive - Excellent driving characteristics on wet and snow covered roads. Dynamic balanced handling, precise steering, short braking distances and pleasant quiet ride. Test winner. Sorry, we don't currently have any questions and answers for the Vredestein Wintrac Pro. Why not submit a question to our tyre experts using the form below! I've had several types / makes of winter tyres fitted to different cars over the years (Mini Cooper S, BMW X5's), although this is an initial review and we haven't had any severe weather yet these tyres seem excellent and better that I have had in the past (plus this car is more powerful (340bhp) and rear wheel drive...). We've only driven the car in temperatures at zero degC and above but we've had some horrendous weather with heavy rain and high winds, driving with these tyres really in both small country roads and main dual carriageways with aquaplane conditions these have been sure footed, I have to commend them. I hope that come snow and the real harsh weather that will come shortly they will continue to impress. Have you driven on the Vredestein Wintrac Pro tyre? Please help millions of other drivers make an informed tyre choice and pick the correct tyres for their car by submitting your review of the Wintrac Pro. In snow and ice this is the best winter tire i ever used. Under 0°c in dry condition working perfektly. Even in city, or at high speed. On slightly wet road is the weakest point of this tire. In a real rain storm there is no problem. These tyres replaced Pirelli Sottozero 240 S2 RFTs on my car (I also have direct experience of Goodyear Ultragrip Performance Gen 1s on my wife's BMW 335i). The Vredestien Wintrac Pros are far closer in performance to the Goodyears rather than the Pirellis which were good in the wet but not when things got very difficult ie snow and ice. The Vredesteins are good in all conditions but where they excel over the GYs is steering feel which is far more responsive. They are also slightly quieter and better riding. The only downside with the Vredesteins is needing to increase tyre pressures (especially rear) to prevent roll from a softish sidewall (in comparison to a runflat). My car has adaptive suspension so little change in ride comfort, however they are significantly quieter than the Pirellis. When it comes to chaging the tyres on my wife's 335i, I'll choose the Vredestein's over the GYs. Bought these tyres on the strength of Autobild UHP winter tyre test 2018. Had the chance to drive through snow , slush and ice on saturday here in Scotland . Last winter I had the misfortune to experience a few scary moments when my UHP summer tyres lost traction where I skidded and slid all over the place in conditions not nearly severe as saturday past. These tyres in one word are phenomenal . I never lost traction once , I felt so safe and confident throughout my whole journey. My wife has a mini cooper with UHP winter tyres , now on their second season. Her tyres are good but not in the same class as the Wintrac pro , they have a sluggish steering response and mushy feel at temps above 10c. The Wintrac pro at 9c last week felt very planted on dry roads , I am really quite amazed at how they've managed to achieve this . My experience with premium winter tyres in the past have never been this good. All I can say is I'm so glad that these tyres are tested to the limit by those who know how and we all learn so much before making an expensive mistake. If you review this and decide to buy you will Not be disappointed and before you ask , I'm not affiliated with Vredestein in any shape or form . Good luck with your choice . I decided to try the Vredestein Wintrac Pro based on the price, available reviews and comments made in the 'winter tyre recommendations' video on YouTube. 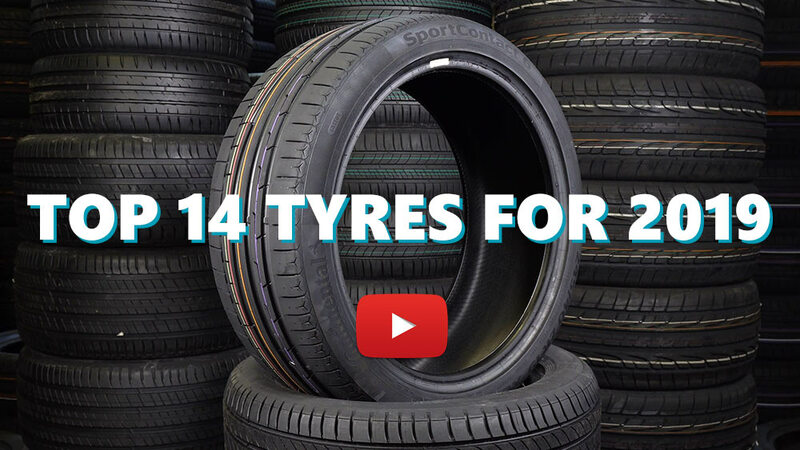 I paid £98.00 inc vat per tyre, delivered (225/40 R18). My first outing on the Wintrac Pro's was a trip from Sheffield to Cumbria in very wet 5°C weather, with a good combination of roads to tests them on. Firstly, I was most impressed with the tyres performance in the miserable wet (very wet) conditions! I came from a Falken ZE310 ECORUN - a tyre which has performed very well for me in wet conditions, but the Wintrac Pro had a noticeable increase in lateral grip while cornering over my previous tyres in these conditions, which left a big smile on my face to say the least! Even when pushing the car a little harder than I was previously comfortable with there was no onset of understeer or loss of feel towards the limit of grip. I was also able to perform a full emergency stop (wet road 5°C), thanks to a suicidal deer! And in and process the car came to a stop very quickly, and with a fantastic sure footed feeling....the dear walked away to live another day with plenty of room to spare. I would describe the Wintrac Pro as a quiet, very confidence inspiring tyre with excellent handling qualities, with fantastic levels of grip in both the wet and dry. Extremely happy so far! Looking forward to testing them in the ice and snow.